Nokia has confirmed that it has decided not to put its long awaited 6216 Classic NFC phone into production. 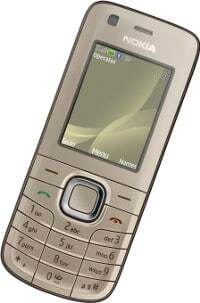 Announced in April 2009, the 6216 was to be Nokia’s first phone based on the single wire protocol (SWP), enabling NFC functionality to be delivered via the user’s SIM rather than via the embedded secure element used in earlier models such as the current 6212 Classic. The 6216 was originally due to start shipping during the third quarter of 2009. But, by November, rumours were circulating that Nokia had decided not to go ahead with a production run, although a limited number of handsets were on show at the Cartes tradeshow in mid-November. Now, Nokia has confirmed that it informed its partners in late 2009 that it was not going to continue with the device. “Our reason is concern with regards to the timing with other elements to make NFC a success,” Mark Selby, Nokia’s VP of industry collaborations, has told NFC World. Both the current state of the NFC business ecosystem and the state of the technical components required to build SWP into handsets played a part in Nokia’s decision, he explained. Selby is quick to point out, however, that the cancellation of the 6216 does not indicate any reduction in Nokia’s overall interest in NFC. When does Nokia now expect to introduce a SWP phone? It’s clear things are moving in absolutely the right direction, says Selby. But, for now, there’s no set date for the commercial arrival of a Nokia SWP phone. 6212 which has notorious difficulties with reading tags is a joke. It’s easier for user to input data contained in a tag manually than it is to get the phone and tag (and stars) aligned to actually read them.